Charles Dickens married Catherine Hogarth on 2nd April 1836 at St Lukes Church, Chelsea. After a wedding breakfast at her parents, they went on honeymoon to the village of Chalk, near Gravesend. Dickens wanted to show Catherine the countryside of his childhood. However, he discovered that his wife did not share his passion for long, fast walks. As one biographer put it: "Writing was necessarily his primary occupation, and hers must be to please him as best she could within the limitations of her energy: writing desk and walking boots for him, sofa and domesticity for her." The couple lived in Furnival's Inn where Dickens had rented three rooms. Mary Hogarth, Catherine’s 17-year-old sister, moved in with them when the arrived back after their honeymoon. She stayed for a month but friends said that she always seemed be with Catherine in her new home. Dickens later wrote: "From the day of our marriage, the dear girl (Mary) had been the grace and life of our home, our constant companion, and the sharer of all our little pleasures." Mary wrote to her cousin describing Catherine as "a most capital house-keeper... happy as the day is long". She added: "I think they are more devoted than ever since their marriage if that be possible - I am sure you would be delighted with him if you knew him he is such a nice creature and so clever he is courted and made up to by all literary gentlemen, and has more to do in that way than he can well manage." On his return from honeymoon Dickens began work on the second episode of The Pickwick Papers. On the 18th April he had a meeting with Robert Seymour. According to Peter Ackroyd: "Dickens asserted his proprietor rights over their venture by suggesting that Seymour alter one of his illustrations - a task which Seymour, no doubt against his wishes, carried out... Two days later, Seymour went into the summer-house of his garden in Islington, set up his gun with a string on its trigger, and shot himself through the head. He was, like many illustrators, a melancholy and some ways thwarted man. It has been suggested that Dickens's request to change the illustration was one of the causes of his suicide, but this is most unlikely. Seymour was used to the imperatives of professional life, and it seems that it was essentially anxiety and overwork which eventually killed him." Dickens suggested that Hablot Knight Browne should be the new illustrator. As his biographer, Robert L. Patten, has pointed out: "Dickens recommended Browne for the position. Though the author was an exacting taskmaster, Browne supplied everything Dickens needed in an illustrator. He was a skilled and rapid designer, co-operative, witty, and self-effacing." John R. Harvey, the author of Victorian Novelists and their Illustrators (1970) has argued: "Hablot Knight Browne, was younger than Dickens, little-known, and pliable; and the collaboration was harmonious and happy." After Dickens's introduced the character of Sam Weller, in the fourth episode of The Pickwick Papers, sales increased dramatically. Weller, the main character's valet, has been described as "a compound of wit, simplicity, quaint humour, and fidelity, who may be regarded as an embodiment of London low life in its most agreeable and entertaining form." Dickens told his publisher, William Hall: "If I were to live a hundred years, and write three novels in each, I should never be so proud of any of them, as I am of Pickwick." Lucinda Hawksley has pointed out: "The ludicrously funny tales of Mr Samuel Pickwick and his companions were printed in twenty monthly installments. The stories were highly addictive and immediately had literate London laughing over the characters' antics and extolling the phenomenon of this new author. At the time the public was enjoying the first chapter of Pickwick, its author was just twenty-four years old." In May 1837 The Pickwick Papers sold over 20,000 copies. William Hall was so pleased he sent Dickens a cheque for £500, as a bonus above the usual payment. It continued to do well and in September it sold 26,000, in October, 29,000 and by the end of the series it was selling over 40,000 copies a month. Dickens received £2,000 for his efforts, whereas Chapman and Hall made about £14,000 from the venture. By 1837 Charles Dickens and John Forster were close friends. James A. Davies, the author of John Forster: a Literary Life (1983) has argued: "Forster's influence on the young Dickens was great, an important aspect being the widening of Dickens's social and literary circle through introductions to his friends... His hard-headed advice, generally concerned to prune excesses, remove impieties, and strengthen the moral force of narrative, reflected firm critical principles and an understanding of the mid-Victorian readership." Dickens greatly respected him as a literary critic and according to Forster, from October, 1837, "There was nothing written by him… which I did not see before the world did, either in manuscript or proofs." Peter Ackroyd has pointed out in Dickens (1990): "He (Forster) was the same age as Dickens and, when they met, they would have already known or at least soon discovered how much they had in common... So the two young men impressed each other. They were alike, too, in other ways. They were both very precise and very punctual but, perhaps most importantly, Forster shared Dickens's own high spirits. He was well known for his loud laugh, and his equally boisterous energy and, like Dickens, he liked to perform impromptu comic dances. He loved the theatre, clubs, excursions, dinners and was in these days a Radical... which, if nothing else, suggests the moral rigour and direction of the politics of these young men." Claire Tomalin has suggested: "Dickens was a rising star whom Forster believed to be a genius, and was ready to serve that genius, while Dickens realized Forster could be an invaluable adviser and supporter... This was was one of those life-changing friendships that arises when two young men - or women - meet and each suddenly realizes a perfect soulmate has been found. The world changes for both, they are amazed at their good fortune, greedy for one another's company, delighted by the wit, generosity, perception and brilliance that flashes between them. It is like falling in love - it is in fact a form of falling in love, without the overt sexual element. Dickens and Forster both liked women well enough, but it was almost impossible for women to give them the sort of good companionship they craved." Catherine Dickens had her first child, Charles Culliford Dickens, in January, 1837. She had difficulty feeding the baby and gave up trying. A wet nurse was found but Mary believed that her sister was suffering from depression: "Every time she (Catherine) sees her baby she has a fit of crying and keeps constantly saying she is sure he (Charles Dickens) will not care for her now she is not able to nurse him." The Pickwick Papers , grew into an unprecedented success. Dickens was approached by several publishers to handle his next book. John Macrone commissioned Dickens to write a three-volume novel, Gabriel Vardon (renamed Barnaby Rudge), for a payment of £200. Another publisher, Richard Bentley, offered Dickens £500 for his next novel. Dickens accepted this proposal and paid off Macrone with £100. Each episode was to consist of about 9,000 words. Bentley also agreed to pay twenty guineas to Dickens in return for becoming editor of his journal, Bentley's Miscellany. The first edition was published in January 1837. Dickens later explained the reasons why he decided that his next novel would be Oliver Twist. "I wished to show in little Oliver the principle of good surviving through every adverse circumstance, and triumphing at last; and when I considered among what companions I could try him best, having regard to that kind of men into whose hands he would naturally fall... I had read of thieves by scores - seductive fellows (amiable for the most part), faultless in dress, plump in pocket, choice in horse-flesh, bold in bearing, fortunate in gallantry, great at a song, a bottle, pack of cards, or dice-box, and fit companions for the bravest; but I had never met (except in Hogarth) with the miserable reality." The story tells of Oliver Twist, an orphan sent to one of many British workhouses. After leaving the workhouse he falls into the hands of a professional criminal, Fagin (surprisingly named after boy who helped him so much at the Warren's Blacking Factory). Fagin trains Oliver to pick pockets and is in danger of being trapped in a world of crime and is forced to take part in a robbery involving Bill Sikes. His girlfriend, Nancy, a prostitute, helps Oliver escape. Sikes finds out what she has done and kills her. Oliver is taken in by Mr Brownlow, who helps him discover the identity of his mother and father. Dickens's novel was an attack on the Poor Law that he witnessed being discussed in the House of Commons when he was a parliamentary reporter. It highlighted the fact that under the new legislation it was no longer required that the fathers of illegitimate children should be traced. One critic has argued: "It is possible to see why the New Poor Law provoked in Dickens angry memories of his own deprivation, of his own separation from his family, and his own obsessive comparison of the need for food with the need for love." John Waller, the author of Oliver: The Real Oliver Twist (2005) argues that Dickens took his story from the memoirs of Robert Blincoe, who had been placed in St. Pancras Workhouse when he was four years old. Robert Carlile published Blincoe's story in his radical newspaper, The Lion. The story appeared in five weekly episodes from 25th January to 22nd February 1828. Five years later, John Doherty published A Memoir of Robert Blincoe in pamphlet form. Richard Bentley signed an agreement with George Cruikshank to become the illustrator of Oliver Twist. He was paid £50 for the use of his name as illustrator and 12 guineas for every monthly etching. The first episode appeared in Bentley's Miscellany in February 1837. The first few episodes were immediately reprinted in The Times as part of an anti-Poor Law campaign. Most critics liked the series but Richard Harris Barham disliked the "radicalish tone" of the novel. 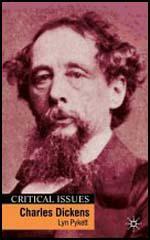 The Spectator criticised Dickens's use in fiction of the "popular clamour against the New Poor Law". However, he did praise Dickens for his remarkable skill in making use of peculiarities of expression." One reader, Eliza Davis, wrote to Dickens in protest at his portrayal of Fagin, arguing that he had "encouraged a vile prejudice against the despised Hebrew". The Jewish Chronicle asked why "Jews alone should be excluded from the sympathizing heart of this great author and powerful friend of the oppressed." Dickens defended himself by the claim that he had made the character Jewish because "it unfortunately was true, of the time to which the story refers, that the class of criminal almost invariably was a Jew". However, because of this criticism, removed over 180 references of Fagin being Jewish from the second edition of the book. With his increase in income from the sales of his work, Dickens now travelled around London with Mary Hogarth to find a new home. On 18th March he made an offer for 48 Doughty Street. After agreeing to a rent of £80 a year, they moved in two weeks later. Situated in a private road with a gateway and porter at each end. It had twelve rooms on four floors. Mary had one of the bedrooms on the second floor. Dickens employed a cook, a housemaid, a nurse, and later, a manservant. On 6th May, 1837, Charles, Catherine and Mary went to the St James's Theatre to see the play, Is She His Wife? They went to bed at about one in the morning. Mary went to her room but, before she could undress, gave a cry and collapsed. A doctor was called but was unable to help. Dickens later recalled: "Mary... died in such a calm and gentle sleep, that although I had held her in my arms for some time before, when she was certainly living (for she swallowed a little brandy from my hand) I continued to support her lifeless form, long after her soul had fled to Heaven. This was about three o'clock on the Sunday afternoon." Dickens later recalled: "Thank God she died in my arms and the very last words she whispered were of me." The doctor who treated her believed that she must have had undiagnosed heart problems. Catherine was so shocked by the death of her younger sister that she suffered a miscarriage a few days later. Peter Ackroyd has argued: "His grief was so intense, in fact, that it represented the most powerful sense of loss and pain he was ever to experience. The deaths of his own parents and children were not to affect him half so much and in his mood of obsessive pain, amounting almost to hysteria, one senses the essential strangeness of the man... It has been surmised that all along Dickens had felt a passionate attachment for her and that her death seemed to him some form of retribution for his unannounced sexual desire - that he had, in a sense, killed her." Charles Dickens cut off a lock of Mary's hair and kept it in a special case. He also took a ring off her finger and put it on his own, and there it stayed for the rest of his life. Dickens also expressed a wish to be buried with her in the same grave. He also kept all of Mary's clothes and said a couple of years later that "they will moulder away in their secret places". Dickens wrote that he consoled himself "above all... by the thought of one day joining her again where sorrow and separation are unknown". He was so upset by Mary's death that for the first and last time in his life he missed his deadlines and the episodes of The Pickwick Papers and Oliver Twist which were supposed to be written during that month were postponed. Dickens told his friend, Thomas Beard: "So perfect a creature never breathed. I knew her inmost heart, and her real worth and values. She had not a fault." He told other friend that "every night she appeared in his dreams". Michael Slater, the author of Charles Dickens: A Life Defined by Writing (2011) has suggested: "It was the third great emotional crisis of his life, following the blacking factory experience and the Beadnell affair, and one that profoundly influenced him as an artist as well as a man." Philip V. Allingham has argued: "Critics and biographers... have written extensively on the massive influence that the memory of the dead seventeen-year-old Scottish girl exerted upon Dickens throughout his career... As numerous critics have noted, Mary probably served Dickens as the basis - the spiritual essence, as it were - of Little Nell in The Old Curiosity Shop (the child-character's death in January 1841 brought back the pain of Dickens's parting from his sister-in-law on Sunday, 7 May 1837), of Rose Maylie in Oliver Twist, of the protagonist's seventeen-year-old sister Kate in Nicholas Nickleby, and of Agnes in David Copperfield." In May 1837 The Pickwick Papers sold over 20,000 copies. William Hall was so pleased he sent Dickens a cheque for £500, as a bonus above the usual payment. By the end of the series it was selling over 40,000 copies a month. Dickens received £2,000 for his efforts, whereas Hall and Chapman made about £14,000 from the venture. Richard Bentley, who was also pleased with the performance of Oliver Twist, and as a way of saying thank you arranged for Dickens to join the Garrick Club. Dickens continued to meet John Forster on a regular basis. On 26th July, 1837, Dickens wrote to Forster: "My Missis is going out today, and I want you to take some cold lamb and a bit of fish with me, alone. We can walk out both before and afterwards but I must dine at home on account of the Pickwick proofs." On another occasion Dickens wrote to Forster: "Come to me, and don't be later than 11. I think Richmond and Twickenham through the Park, out at Knightsbridge, and over Barnes Common, would make a beautiful ride." Forster also reviewed The Pickwick Papers in The Examiner. For example, he described the scene where the hero is incarcerated in Fleet Prison in glowing terms: "The truth and power with which it is made are beyond all praise - so certain, so penetrating, and so deeply-aimed, and yet, at the same time, so obvious and familiar, are the materials employed. Every point tells, and the reality of the whole is wonderful. We place the picture by the side of those of the greatest masters of this style of fiction in our language, and it rises in the comparison... We recognize in this fine writer a maturing excellence." Dickens wrote a letter to Forster thanking him for the article: "I feel your rich, deep appreciation of my intent and meaning more than the most glowing abstract praise that could possibility be lavished upon me. You know I have ever done so, for it was your feeling for me and mine for you that first brought us together, and I hope will keep us so, till death do us part. Your notices (reviews) make me grateful but very proud; so have a care of them, or you will turn my head." In October 1837, a critic writing in The Quarterly Review, noted that the popularity of Charles Dickens was "one of the most remarkable literary phenomena in recent times". He went on to say that he was an outstanding comic writer but warned him that "he has risen like a rocket, and he will come down like a stick." Dickens was greatly disturbed by these comments but it drove him on to prove the critic wrong. During this period Dickens became a great friend of Thomas Talfourd, the radical member of the House of Commons. Dickens was a regular visitor to the Talfourd home. He recalled: "If there ever was a house… where every art was honoured for its own sake, and where every visitor was received for his own claims and merits, that house was his... Rendering all legitimate deference to rank and riches, there never was a man more composedly, unaffectedly, quietly, immovable by such considerations... On the other hand, nothing would have astonished him so much as the suggestion that he was anyone's patron." In January 1838 he began work on his third novel, Nicholas Nickleby. Like Oliver Twist it was to be a propagandist novel. Dickens later recalled that the main purpose of the work was to expose "the monstrous neglect of education in England, and the disregard of it by the State, as a means of forming good or bad citizens, and miserable or happy men." Dickens had become disillusioned with Richard Bentley and he decided that this novel would be published by Chapman and Hall. The novel was based on newspaper reports on bad schools that had appeared over the years. One account published in 1823 concerned a court case involving the Bowes Academy a boarding school in the town of Barnard Castle in County Durham. The report stated that "supper consisted of warm milk and water and bread, which was called tea... five boys generally slept in a bed... On Sunday they had pot skimmings for tea, in which there was vermin." On 2nd February, 1838, Dickens interviewed William Shaw, the headmaster of Bowes Academy. He later wrote: "These Yorkshire schoolmasters were the lowest and most rotten in the whole ladder. Traders in the avarice, indifference, or imbecility of parents, and the helplessness of children; ignorant, sordid, brutal men, to whom few considerate persons would have entrusted the board and lodging of a horse or a dog; they formed the worthy corner-stone of a structure, which, for absurdity and a magnificent high-handed laissez-aller neglect, has rarely been exceeded in the world." Dickens clearly intended the headmaster Wackford Squeers in Nicholas Nickleby to be a portrayal of William Shaw and Dotheboys Hall was Bowes Academy. As Charlotte Edwardes has pointed out: "The similarities between William Shaw were immediately obvious: they shared initials, profession and both man and character wore a patch over one eye. The outcry resulting from the publication of the book was so great that the Bowes Academy, and a number of other boarding schools, were forced to close and Shaw was ostracized by society for the rest of his life." The first episode of Nicholas Nickleby was published in April 1838. Over 50,000 copies were sold in the first few days. The story begins with the death of Nicholas Nickleby's father who has lost all of his money in a series of poor investments. Nicholas, his sister Kate, and his mother (according to Dickens, based on the personality of his own mother), travel to London to seek the help of their only relative, Ralph Nickleby. Nicholas's uncle gets him a job as an assistant to Wackford Squeers, who runs the school Dotheboys Hall in Yorkshire. Nicholas is shocked to discover that Squeers is taking in unwanted children for a high fee, and starves and mistreats his children in order to maximise his profits. As a consequence, the children died in large numbers. One critic has argued that "Dickens shows the cruelty and vileness of the school and the terror of the boys, starved, beaten, made to work and taught nothing, and at the same time he makes the appalling Squeers and his wife and monstrous son and daughter so funny that he can't help laughing at them." Squeers's daughter, Fanny, is attracted to Nickleby but the feelings are not mutual. One of the boys, Smike, runs away, but is caught and brought back to Dotheboys Hall. Squeers is about to flog Smike when he is stopped by Nickleby and after being attacked himself, he begins to beat the headmaster. Nickleby leaves the school with Smike and travels back to London where he finds work as a teacher of French to the Kenwigs family. Ralph Nickleby receives a letter from Fanny Squeers about Nickleby's behaviour at Dotheboys Hall. Ralph informs them that he will give the family no financial assistance as long as Nicholas stays with them. Nicholas agrees to leave London, but warns his uncle he will return. Nicholas and Smike travel towards Portsmouth with the intention of becoming sailors. However, on the way they meet Vincent Crummles, who hires Nicholas and Smike to become part of his theatre company. The two men make their debuts in Romeo and Juliet. Nicholas performance as Romeo receives great praise. Nicholas is forced to leave the group when he receives a letter from Newman Noggs saying that his mother and sister needed his help. Nicholas finds his mother and sister and takes them to live with Miss LaCreevy. Soon afterwards Nicholas meets Charles Cheeryble, a wealthy merchant who runs a business with his twin brother Ned. Hearing Nicholas’s story, the brothers take him into their employment and provide his family with a small house in a London suburb. Wackford Squeers arrives in London seeking revenge on Nicholas and Smike. With the help of Ralph Nickleby he kidnaps Smike but he is eventually rescued by Nicholas's friend, John Browdie. Ralph and Squeers attempt to reclaim Smike by presenting forged documents that he is the long-lost son of a man named Snawley. While at work, Nicholas falls in love with Madeline Bray, the daughter of a debtor, Walter Bray. Nicholas helps her by commissioning her artwork. Arthur Gride offers to pay a debt Ralph Nickleby is owed by Walter Bray in exchange for his help. Gride has gained possession of the will of Madeline’s grandfather, and she will become an heiress upon the event of her marriage. The two men convince Bray to bully his daughter into accepting Gride as a husband with the promise of paying off his debts. Madeline agrees to marry Gride to help her father. On the day of the wedding, Bray dies unexpectedly and Madeline therefore has no reason to marry Gride and she refuses to go through with the ceremony. Smike is suffering from tuberculosis and become dangerously ill. On his deathbed, Smike confesses his love for Kate and dies in Nicholas’s arms. Meanwhile, Peg Sliderskew, Gride’s aged housekeeper, has stolen Madeline’s grandfather will. Ralph Nickleby discovers that Smike was his son (his wife left him before he was aware she was pregnant). Traumatized by the knowledge that his only son died as the best friend of his greatest enemy, Ralph commits suicide. Squeers is sentenced to transportation to Australia and the boys at Dotheboys Hall escape with the assistance of John Browdie. Nicholas becomes a partner in the Cheerybles' firm and marries Madeline, whereas Kate marries Frank Cheeryble. John Forster believes that the scenes in London was the most successful part of the novel: "We enter with him by night, through long double rows of brightly burning lamps, a noisy, bustling, crowded scene, in which he shows us the rags of the squalid ballad-singer fluttering in the same rich light that shows the goldsmith's glittering treasures, and where one thin sheet of brittle glass is the iron wall by which vast profusions of wealth and food are guarded from starved and pennyless men... At all times, and under every aspect, he gives us to feel and see the great city as it absolutely is." Foster, like most critics, did not like the rambling unplanned plot and the feebleness of some of the characters. One critic said the "interminable and almost unreadable last quarter of the book, where forced marriages, stolen wills, lost children found and sudden deaths are all requisitioned from the crude traditions of melodrama." However, the public at the time liked this kind of writing and Nicholas Nickleby was quickly turned into a play that was performed all over the country. After the book was published, William Shaw, threatened to take legal action against Dickens. However, he decided against this move and decided to end his career as a schoolmaster. A few years later a school commissioner wrote that: "I have wholly failed to discover an example of the typical Yorkshire school which Dickens has made us familiar." Dickens said to Catherine Dickens, "what a thing it is to have power". Lucinda Hawksley has argued that Oliver Twist and Nicholas Nickleby were both successful propagandist novels: "Both novels highlighted terrible social problems in modern Britain and started Victoria's subjects talking in earnest about what could be done to help the poor and the disenfranchised. Oliver Twist brought the shameful truth about workhouses and baby farms to the masses and Nicholas Nickleby caused investigative journalists to converge on Yorkshire to find out if what Mr Dickens had written about the 'Yorkshire Schools' was true. They discovered that these horrifying schools, to which unwanted children were sent, were a terrible reality. Dickens had brought the plight of these children, and the appalling way in which they had been treated by their parents, guardians and 'educators', into the public domain. The effect was tremendous. Within a few years of the publication of Nicholas Nickleby almost every one of the Yorkshire Schools had been closed down." Dickens constantly demanded more money from Richard Bentley for his work being published in his journal. On 21st January, 1839, Dickens wrote to Bentley complaining about their business relationship: "I am conscious that my books are enriching everybody connected with them but myself, and that I, with such a popularity as I have acquired, am struggling in old toils, and wasting my energies in the very height and freshness of my fame, and the best part of my life, to fill the pockets of others, while for those who are nearest and dearest to me I can realise little more than a genteel subsistence." Dickens then went on to say he was resigning as editor of the Bentley's Miscellany: "I do most solemnly declare that mortally, before God and man, I hold myself released from such hard bargains as these, after I have done so much for those who drove them. This net that has been wound about me, so chafes me, so exasperates and irritates my mind, that to break it at whatever cost... is my constant impulse." Bentley's son George later argued that these negotiations were a "brick in the building of Dickens's character... Dickens was a very clever, but he was not an honest man." Bentley tried to get Dickens to change his mind but eventually accepted defeat and appointed William Harrison Ainsworth as editor of the journal. Bentley considered taking Dickens to court for breach of contract. He probably would have won his case but it was not considered a good idea for a publisher to sue an author. Dickens described Bentley in a letter to a friend as an "infernal, rich, plundering, thundering old Jew". In doing so he was quoting the comments of Bill Sikes on Fagin in Chapter 13 of Oliver Twist. While he was writing Nicholas Nickleby his wife gave birth to two children. Mary, known as Mamie, was born on 6th March, 1838. She had been named after her dead aunt, Mary Hogarth. Catherine was unable to breast-feed her daughter and had to employ a wet-nurse. 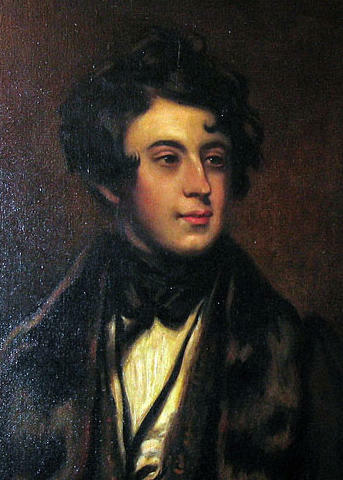 Dickens's best friend, John Forster, became her godfather. Soon afterwards he told Forster that he was falling out of love with Catherine and that the couple were incompatible. Despite this comment he wrote to Catherine on 5th March, 1839, while on holiday in Devon: "To say how much I miss you, would be ridiculous. I miss the children in the morning too and their dear little voices which I have sounds for you and me that we shall never forget." Catherine's second daughter, Kate Macready, was born on 29th October, 1839. She had been in labour for twelve hours. Dickens' named her after his friend, the actor, William Macready. He gave a great celebration for her christening in August. "Rather a noisy and uproarious day." Dickens got drunk and ended up having an argument with Forster. Catherine was so upset by the dispute that she burst into tears and ran from the room." 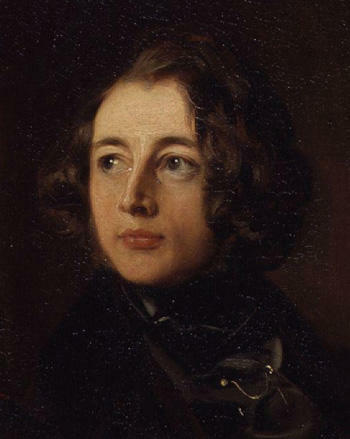 Dickens met Angela Burdett-Coutts for the first time in 1839 at the home of Edward Marjoribanks, who ran Coutts Bank. Her father, Sir Francis Burdett, a radical MP, had been impressed with Dickens's early propagandist novels, The Pickwick Papers and Oliver Twist. Dickens was immediately taken by Miss Burdett-Coutts and later told her in a letter: "I have never begun a book or begun anything of interest to me or done anything of importance to me... (since) I first dined with you at Mr Marjoribanks." Later that year he wrote to her about their "intimate" friendship. His biographer, John Forster , has pointed out: "The marked attentions shown him by Miss Coutts which began with the very beginning of his career were invariably welcome." Two years previously, Miss Burdett-Coutts, was left £1.8 million (£165 million in 2012 figures) by Harriot Mellon Coutts, Duchess of St Albans. It has been claimed that after Queen Victoria she was the wealthiest woman in England. The Morning Herald estimated that her fortune amounted to "the weight in gold is 13 tons, 7 cwt, 3 qtrs, 13 lbs and would require 107 men to carry it, supposing that each of them carried 289 lbs - the equivalent of a sack of flour". Edna Healey, the author of Lady Unknown: The Life of Angela Burdett-Coutts (1978), has argued: "From the first Angela was enchanted by Dickens. In the first flow of his sudden fame he was remarkably attractive. From his luxuriant hair, lustrous eyes and fresh glowing complexion to the brilliant buckles of his shoes there was such a shine about him. There was also a frankness of expression, a look of goodness that Miss Coutts, like other ladies of the day, found irresistible. If there was a little too much of the dandy in his dress she could forgive him. She had, after all seen Disraeli in full bloom." In November, 1839, the Dickens family moved from 48 Doughty Street to 1 Devonshire Terrace, York Gate, close to Regent's Park. Dickens paid £800 for the eleven-year lease in addition to an annual rent of £160. Lucinda Hawksley has pointed out: "The new house was the end one of three Georgian terraced houses, built in 1776. There was a large garden, as well as stables and a coach house, with rooms above to accommodate stable staff. The house had a prepossessing grand entrance: its door and railings were painted vivid green, and above the door was a typical eighteenth-century fanlight window, which, made of stained glass, must have filled the hallway with colour on sunny days. Charles Dickens, who could not abide poor hygiene, would no doubt have been pleased that there was an indoor WC (as well as two lavatories in the garden for the lesser mortals). The house was built over five floors, including a basement and two attic floors. The family lived in the two main storeys, while the basement and part of the attics were the domain of the servants. The remaining attic rooms were the nursery and, later, Katey and Mamie's bedroom. The rooms on the main two floors were very spacious with extremely high ceilings and plenty of tall windows to allow daylight to stream through; even the attics were well supplied with windows. Charles turned the ground-floor library into his study - and apparently erected a gate between the first and ground floors, so that the children could be kept at bay while he was working. There were steps leading from his study straight into the garden and the door that led into the hallway was covered with green baize in an effort to minimize any household noise that might disturb his writing. Also on the ground floor was a spacious dining room, big enough for Charles and Catherine to be able to entertain enthusiastically; they were excellent hosts." Mamie Dickens later recalled: "I remember that my sister and I occupied a little garret room in Devonshire Terrace, at the very top of the house. He had taken the greatest pains and care to make the room as pretty and comfortable for his two little daughters as it could be made. He was often dragged up the steep staircase to this room to see some new print or some new ornament which we children had put up, and he always gave us words of praise and approval. He encouraged us in every possible way to make ourselves useful, and to adorn and beautify our rooms with our own hands, and to be ever tidy and neat. I remember that the adornment of this garret was decidedly primitive, the unframed prints being fastened to the wall by ordinary black or white pins, whichever we could get. But, never mind, if they were put up neatly and tidily they were always excellent, or quite slap-up as he used to say. Even in those early days, he made a point of visiting every room in the house once each morning, and if a chair was out of its place, or a blind not quite straight, or a crumb left on the floor, woe betide the offender." Nicholas Nickleby was published in one volume in October 1839. Dickens decided he would take a rest from novel writing and agreed a contract with his old friend, William Hall, to edit a weekly magazine, Master Humphrey's Clock. The publishers, Chapman and Hall, agreed to pay him £50 for each issue, plus half the profits. Dickens planned to commission work from other writers and to contribute short stories and occasional essays himself. The magazine was to be sold in America and Europe and Dickens expected to make something like £5,000 a year from the venture. The magazine sold 70,000 copies when it was published for the first time in April. However, customers were disappointed by the fact that Dickens only contributed the occasional article and sales fell dramatically. Dickens wrote to a friend that "day and night the alarum is in my ears, warning me that I must not run down... I am more bound down by this Humphrey than I have ever been yet - Nickleby was nothing to it, nor Pickwick, nor Oliver - it demands my constant attention and obliges me to exert all the self-denial I possess." Dickens decided he had to be the sole contributor and that he had to produce a full-length serial like The Pickwick Papers, Oliver Twist and Nicholas Nickleby for the journal to be a success. He decided to develop a short-story, The Old Curiosity Shop, that appeared in an early edition, into a serial. It was not long before the whole of Master Humphrey's Clock was taken up by the story. The magazine now had a circulation of 100,000. Dickens later explained: "In writing the book I had it always in my fancy to surround the lonely figure of the child (Nell) with grotesque and wild, but not impossible companions, and to gather about her innocent face and pure intentions associates as strange and uncongenial as the grim objects that are about her bed when her history is first foreshadowed." Dickens met Thomas Carlyle for the first time in 1840. 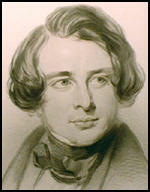 Carlyle described Dickens as "a fine little fellow... a face of most extreme mobility, which he shuttles about - eyebrows, eyes, mouth and all - in a very singular manner while speaking... a quiet, shrewd-looking, little fellow, who seems to guess pretty well what he is and what others are." The two men became close friends. Dickens told one of his sons that Carlyle was the man "who had influenced him most" and his sister-in-law, that "there was no one for whom he had a higher reverence and admiration". How well I recall the bleak winter evening in 1842 when I first saw the handsome, glowing face of the young man (Charles Dickens) who was even then famous over half the globe! He came bounding into the Tremont House, fresh from the steamer that had brought him to our shores, and his cheery voice rang through the hall, as he gave a quick glance at the new scenes opening upon him in a strange land on first arriving at a Transatlantic hotel. "Here we are!" he shouted, as the lights burst upon the merry party just entering the house, and several gentlemen came forward to greet him. Ah, how happy and buoyant he was then! Young, handsome, almost worshipped for his genius, belted round by such troops of friends as rarely ever man had, coming to a new country to make new conquests of fame and honor, surely it was a sight long to be remembered and never wholly to be forgotten. The splendor of his endowments and the personal interest he had won to himself called forth all the enthusiasm of old and young America, and I am glad to have been among the first to witness his arrival. You ask me what was his appearance as he ran, or rather flew, up the steps of the hotel, and sprang into the hall. He seemed all on fire with curiosity, and alive as I never saw mortal before. From top to toe every fibre of his body was unrestrained and alert. What vigor, what keenness, what freshness of spirit, possessed him! He laughed all over, and did not care who heard him! He seemed like the Emperor of Cheerfulness on a cruise of pleasure, determined to conquer a realm or two of fun every hour of his overflowing existence. That night impressed itself on my memory for all time, so far as I am concerned with things sublunary. It was Dickens, the true "Boz," in flesh and blood, who stood before us at last, and with my companions, three or four lads of my own age, I determined to sit up late that night. None of us then, of course, had the honor of an acquaintance with the delightful stranger, and I little thought that I should afterwards come to know him in the beaten way of friendship, and live with him day after day in years far distant; that I should ever be so near to him that he would reveal to me his joys and his sorrows, and thus that I should learn the story of his life from his own lips. The principles advocated in The Daily News will be principles of progress and improvement; of education, civil and religious liberty, and equal legislation. Principles, such as its conductors believe the advancing spirit of the time requires: the condition of the country demands: and justice, reason and experience legitimately sanction. There is nothing in the present age at once so galling and so alarming to me as the alienation of the people from their own affairs. They have had so little to do with the game through all these years of Parliamentary Reform, that they have sullenly laid down their cards, and taken to looking on. You can no more help a people who do not help themselves, than you can help a man who does not help himself. I know of nothing that can be done beyond keeping their wrongs continually before them. When at work my father was almost always alone, so that, with rare exceptions, save as we could see the effect of the adventures of his characters upon him in his daily moods, we knew but little of his manner of work. Absolute quiet under these circumstances was essential, the slightest sound making an interruption fatal to the success of his labors, although, oddly enough, in his leisure hours the bustle and noise of a great city seemed necessary to him. He writes, after an enforced idleness of two years, spent in a quiet place; "The difficulty of going at what I call a rapid pace is prodigious; indeed, it is almost an impossibility. I suppose this is partly the effect of two years' ease, and partly the absence of streets, and numbers of figures. I cannot express how much I want these. It seems as if they supplied something to my brain which, when busy, it cannot bear to lose. For a week or fortnight I can write prodigiously in a retired place, a day in London setting and starting me up again. But the toil and labor of writing day after day without that magic lantern is immense!" As I have said, he was usually alone when at work, though there were, of course, some occasional exceptions, and I myself constituted such an exception. During our life at Tavistock House, I had a long and serious illness, with an almost equally long convalescence. During the latter, my father suggested that I should be carried every day into his study to remain with him, and, although I was fearful of disturbing him, he assured me that he desired to have me with him. On one of these mornings, I was lying on the sofa endeavouring to keep perfectly quiet, while my father wrote busily and rapidly at his desk, when he suddenly jumped from his chair and rushed to a mirror which hung near, and in which I could see the reflection of some extraordinary facial contortions which he was making. He returned rapidly to his desk, wrote furiously for a few moments, and then went again to the mirror. The facial pantomime was resumed, and then turning toward, but evidently not seeing, me, he began talking rapidly in a low voice. Ceasing this soon, however, he returned once more to his desk, where he remained silently writing until luncheon time. It was a most curious experience for me, and one of which, I did not until later years, fully appreciate the purport. Then I knew that with his natural intensity he had thrown himself completely into the character that he was creating, and that for the time being he had not only lost sight of his surroundings, but had actually became in action, as in imagination, the creature of his pen. The chalet had been given to him by Charles Fechter, the actor, in the beginning of 1865, and was so delightful to him that he used to love to work there in the summer time. This is how he himself described it: "My room is up among the branches of the trees, and the birds and the butterflies fly in and out, and the green branches shoot in at the open windows ; and the lights and shadows of the clouds come and go with the rest of the company. The scent of the flowers and, indeed, of everything that is growing for miles and miles is most delicious." It was indeed an ideal spot, where there was nothing to disturb him or arrest the play of his fancy or interfere with the working of his imagination. At luncheon time he would occasionally stroll into the dining-room to take a biscuit and a glass of sherry. But at such times his mind was far away; walking about the room in deep thought he would speak but little, though he used on some such occasions in an abstracted sort of way to watch the movements of the goldfinch in his cage, who had been taught to draw his water from a small glass well by means of a very light chain and a thimble. This was a task which was far from arduous, and which, judging from the perky way in which he used to look round at us while drinking out of the thimble, was one which he thoroughly enjoyed. I can recall with the utmost vividness the long walks in the afternoon when his desk work was done, ten miles or more, when I and the dogs were sometimes his sole companions. He rarely went out without his dogs, and I remember the villagers used to talk about Mr. Dickens with his roost of dogs, a quaint expression in that connection. (6) George Augustus Sala worked as a journalist on Household Words. In 1894 Sala recorded working with Charles Dickens on the journal. What he liked to talk about was the latest new piece at the theatres, the latest exciting trial or police case, the latest social craze or social swindle, frequently touched on political subjects - always from that which was then a strong Radical point of view. Twenty years ago Daniel Webster said that Dickens had already done more to ameliorate the condition of the English poor than all the statesmen Great Britain had sent into Parliament. During the unceasing demands upon his time and thought, he found opportunities of visiting personally those haunts of suffering in London which needed the keen eye and sympathetic heart to bring them before the public for relief. Whoever has accompanied him on his midnight walks into the cheap lodging-houses provided for London's lowest poor cannot have failed to learn lessons never to be forgotten. Newgate and Smithfield were lifted out of their abominations by his eloquent pen, and many a hospital is to-day all the better charity for having been visited and watched by Charles Dickens. To use his own words, through his whole life he did what he could "to lighten the lot of those rejected ones whom the world has too long forgotten and too often misused." These inadequate, and, of necessity, hastily written, records must suffice for the present and stand for what they are worth as personal recollections of the great author who has made so many millions happy by his inestimable genius and sympathy. His life will no doubt be written out in full by some competent hand in England; but however numerous the volumes of his biography, the half can hardly be told of the good deeds he has accomplished for his fellow-men. And who could ever tell, if those volumes were written, of the subtle qualities of insight and sympathy which rendered him capable of friendship above most men, which enabled him to reinstate its ideal, and made his presence a perpetual joy, and separation from him an ineffaceable sorrow? Dickens seemed suddenly to be possessed with the demon of mischief; he threw his arm around me and ran me down the inclined plane to the end of the jetty till we reached a tall post. He put his other arm round this, and exclaimed in theatrical tones that he intended to hold me there till the "sad sea waves" should submerge us. "Think of the emotion we shall create! Think of the road to celebrity which you are about to tread! No, not exactly to tread, but to flounder into!" Here I implored him to let me go, and struggled hard to release myself. "Let your mind dwell on the column in The Times wherein will be vividly described the pathetic fate of the lovely E.P., drowned by Dickens in a fit of dementia! Don't struggle, poor little bird; you are powerless in the claws of such a kite as." The tide was coming up rapidly and surged over my feet. I gave a loud shriek and tried to bring him back to common sense by reminding him that "My best dress, my only silk dress, would be ruined." Even this climax did not soften him: he still went on with his serio-comic nonsense, shaking with laughter all the time, and panting with his struggles to hold me. "Mrs Dickens!" a frantic shriek this time, for now the waves rushed up to my knees; "help me, make Mr Dickens let me go - the waves are up to my knees!" The rest of the party had now arrived, and Mrs Dickens told him not to be so silly, and not to spoil Eleanor's dress. "Dress!" cried Dickens "talk not to me of dress! When the pall of night is enshrouding us... when we already stand on the brink of the great mystery, shall our thoughts be of fleshly vanities?" To walk with him in the streets of London was in itself a revelation ; a royal progress; people of all degrees and classes taking off their hats and greeting him as he passed. One such occasion I can particularly recall. It was at the Zoo, and my father and I were walking down the broad walk when we saw, a little distance away from us, a lady and gentleman coming towards us with a bright and pretty girl of about fourteen or fifteen running ahead of them. Suddenly the little girl, catching sight of my father, ran back to her mother crying out delightedly, "Oh, mummy! mummy! it is Charles Dickens." My father, who had heard and seen it all, was strangely embarrassed; but, oh, so pleased, so truly delighted. It was a pretty scene; but such things were constantly happening. It was this popular adulation he courted and wooed ; but it never spoilt him. He remained to the end modest and quite untouched by any appearance of affectation or self-conceit.